Details: Come join the dance party with Sarahndipity Johnsen! Her book, From A to Z: Animals Get Funky, supports children's health, confidence, inclusion and unique expression. No Way Out is a 1950 black-and-white American film noir directed by Joseph L. Mankiewicz, and starring Richard Widmark, Linda Darnell, Stephen more...0 McNally and Sidney Poitier (in his screen debut) who portrays a doctor tending to slum residents whose ethics are tested when confronted with racism, personified by Richard Widmark as the hateful robber Ray Biddle. One of the early pictures released during the McCarthy era about racism in America this movie doesn't shy away from the overt and aggressive bigotry of the Ray Biddle character. This is not a study of subtle racism in society, or a commentary about sources and or solutions it's designed to slap you in the face and ask "What are you gonna do about it? Show starts at 7p doors open at 6:30. Tickets are $5 and can be purchased here. Join us every first Tueday of the month in the Radio Room to watch a classic cinematic treasure! Tickets will be $5. Popcorn, candy, and drinks will all be available for a great movie experience. The Toasters, are "Ska Pioneers" (Billboard magazine) and boldly go where no ska band has gone before. Having been compared to the Ramones, more...0 due to their longevity and adherence to core principles, the Toasters are held to be one of most influential ska bands out there. Their lean, mean ska machine has galvanized audiences and musicians alike with their embrace of the Jamaica-born pop music style that overwhelmed England in the 1960's, migrated to America in the early 1980s, and went global in the 1990s. The hallmark Toasters sound sits at the nexus of Reggae, Jazz, Punk and Soul and is the musical equivalent of a brass knuckle-duster. W hen the Chris Robinson Brotherhood headed into the studio to begin recording their new album, Anyway You Love, We Know How You Feel, no one knew more...0 just what to expect. These would be the band’s first recordings with new drummer Tony Leone (Ollabelle, Levon Helm), their first since the departure of founding bassist Mark “Muddy” Dutton, and their first time producing themselves. But as anybody who’s been following the CRB can attest, this is a band that thrives on the unexpected. Local rock. $5 cover gets you a free drink! In this one-day workshop, students will develop a new and exciting way to capture their travel experiences by learning how to observe new more...0 environments, examining color, texture, and shape. Students will learn basic drawing and painting methods that will make it easy to create memories and capture scenes from their time away from home. No experience necessary. This is a great class for those who want to maintain a more continuous artistic practice. A day of skiing, music, and games. 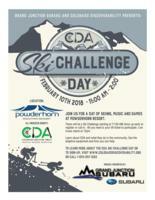 There will be a ski challenge. Learn about CDA and what they do in the community. See the adaptive equipment and more...0 how you can help. MEREDITH NEMIROV: WHY DRAW A TREE IN MALLORCA? 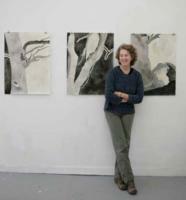 Every year, artist Meredith Nemirov goes to Mallorca, Spain to draw trees. Come find out why at this artist talk.